Regardless of whether you own the family restaurant that everyone knows about or the fine dining institute that caters to create an experience, restaurants face a myriad of unique challenges and exposures in their industry. Restaurant owners need to protect themselves from loss of income, liability, employees and more. Having a Restaurant Insurance policy from Goetz Insurance Agency can help cover all your restaurant insurance and business insurance bases. 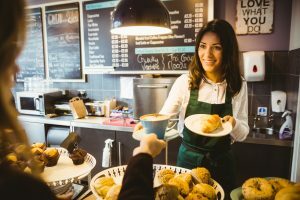 Let the local independent insurance experts at Goetz Insurance Agency assist you with protecting your food industry business with a restaurant insurance policy. Our agents will help you create a restaurant insurance policy that fits your business’ needs. Your restaurant is your livelihood and it should be protected as such. As an independent agent, Goetz Insurance Agency can search the top commercial carriers for the best policy for your needs and budget. Contact Goetz Insurance Agency today.